NSI Tork® 1-Pole Spring wound auto OFF in wall twist timer is rated at 125 - 277-Volts at 50/60-Hz frequency. The SPDT action timer features 2 hours of timing range. It accommodates wire of size 12-AWG. 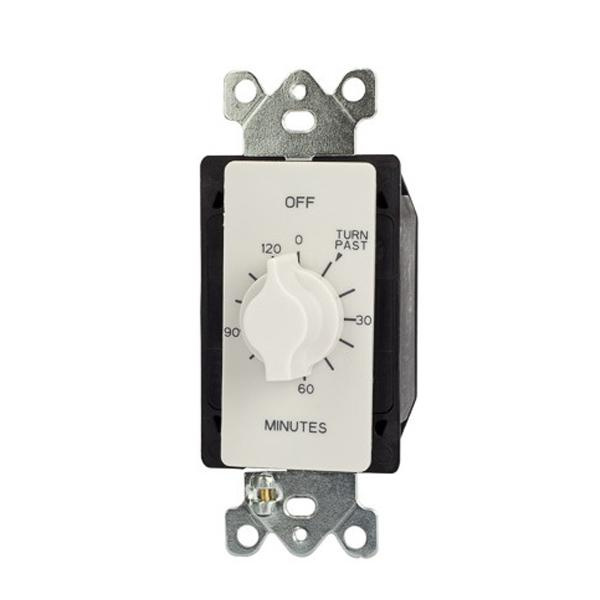 This 1-Gang wallplate mount timer in white color, withstands temperature rating of 32 to 122 deg F. It measures 5-Inch x 3-Inch. This timer has twist knob for time ON setting with ON lengths varying from 15 mins to 12 hours. Timer is suitable for whole house fans, indoor/outdoor lighting, bathroom fans and lights and self-storage application. Timer is cULus listed.